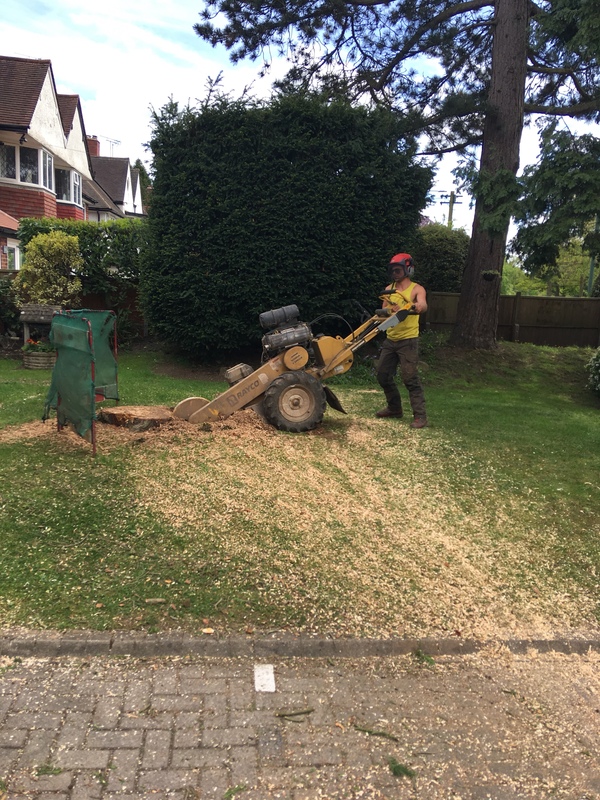 We do all our own stump grinding and do not subcontract this out to another company. 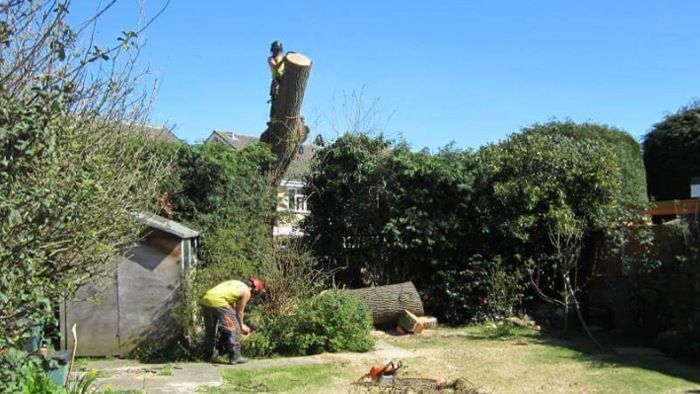 We have two stump grinders, one needing a gap of 29 inches or bigger to get through, this will blitz any size stump! 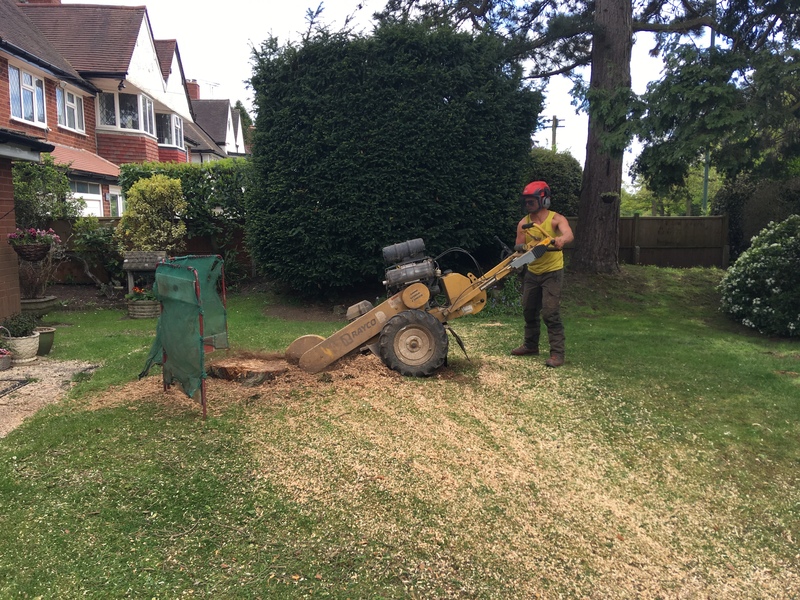 The other grinder can fit through a doorway though hasn’t got the power of the larger one it is still very effective and can blitz small to medium sized stumps. 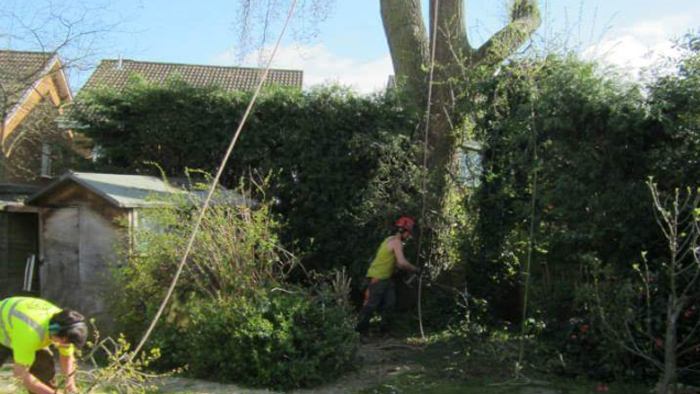 All tree surgery and hedge cutting works are carried out by a five to seven man team. 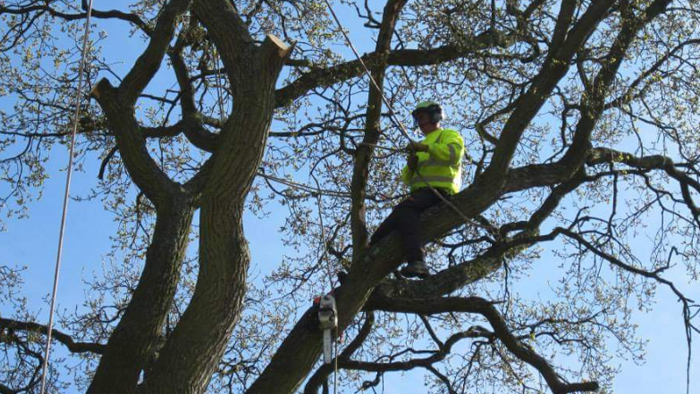 All our work is insured to £5 million. 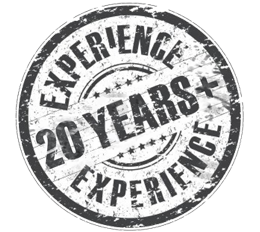 We work to all current health and safety regulations. 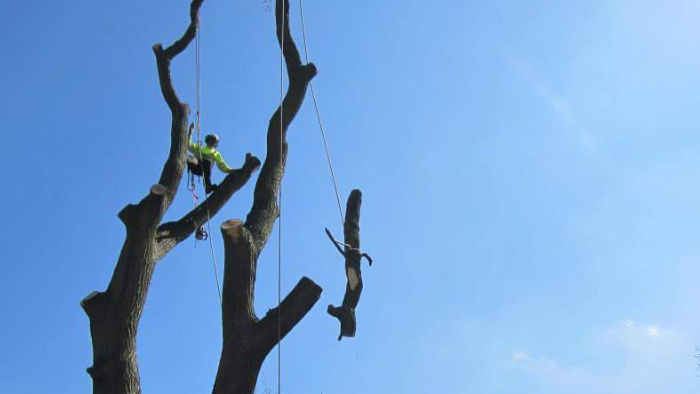 Our tree surgeons specialise in tree removal; reducing, shaping, thinning, dead wooding, storm damaged and dangerous trees and provide yearly trimming programs.